“The Lord’s Resistance Army continues to terrorize the population. People are afraid.” This was the declaration of a local Catholic leader in the Democratic Republic of Congo. The Rt. Rev. Julien Andavo Mbia, Bishop of Isiro-Niangara, described the dire situation of his countrymen and -women in the north-western region of the Democratic Republic of the Congo during a visit of the international Catholic pastoral charity Aid to the Church in Need (ACN). The Diocese of Isiro-Niangara, which borders on Uganda and southern Sudan, is home to some 1.2 million Catholics, including 89 priests. It comprises an area of over 23,000 square miles and is organized into 23 large parishes. 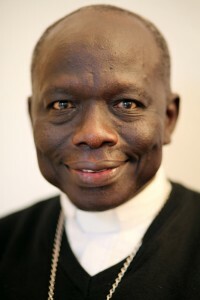 According to Bishop Andavo Mbia, the attacks of the self-proclaimed “Lord’s Resistance Army” have declined in intensity somewhat over the past months, but many refugees are still reluctant to return to their villages for fear of renewed attacks. “They stay in the settlements protected by soldiers, but there they have neither homes nor enough food to eat,” said Bishop Andavo Mbia, 61, who has led the diocese since 2003. 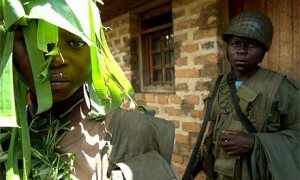 The Lord’s Resistance Army, formed in Uganda at the end of the 1980s, became infamous for the brutality of its attacks and its religiously influenced ideology. For many years, it fought the government of Ugandan President Museveni, who is still in power today. Driven out of the country, the group retreated to southern Sudan, where it supported the government in Khartoum in its efforts to suppress the independence movement in the south. Today, the terrorist organization regularly attacks villages in north-western Congo, the south of the Central African Republic and parts of southern Sudan. For years, observers have criticized the lack of resolve on the part of neighbors and other states that pursue economic interests in the region to combat the terror, particularly as the activities of the LRA are well documented (www.lracrisistracker.com).